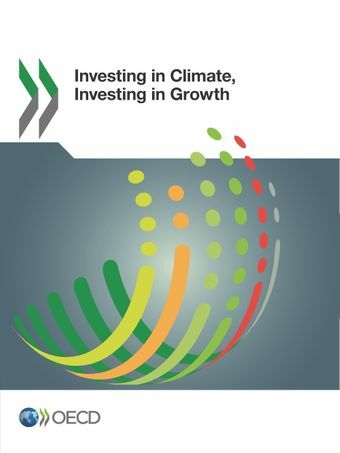 Watch our video on the OECD report “Investing in Climate, Investing in Growth”. Governments around the world are facing the imperatives of re-invigorating growth while improving livelihoods and urgently tackling climate change. The report provides an assessment of how they can generate inclusive economic growth in the short term, while making progress towards climate goals to secure sustainable long-term growth. Watch OECD Environment Director Simon Upton presenting key findings from the report during a Green Talks LIVE webinar held on 22 June 2017. The report shows that integrating measures to tackle climate change into regular economic policy will have a positive impact on economic growth over the medium and long term. A climate-friendly policy package can increase long-run output by up to 2.8% on average across the G20 by 2050 and if avoided climate damage are also taken into account, this rises to nearly 5%. The OECD work and the OECD report "Investing in Climate, Investing in Growth" have been recognised and welcomed in the G20 Leaders’ Declaration.